HIGHLANDS  The annual veterans dinner was held here last Saturday and Commissioner Jack Morman gave special reverence to those that have served their country. I look forward to this special day every year to celebrate and pay tribute to our veterans who have served our country to protect our freedom and to the brave soldiers who are out in the field today. May God protect them and bring them home safely to their families. said Precinct 2 Commissioner Morman. The crowd about 350 learned that Precinct 2 provides transportation to and from the DeBakey VA Medical Center to wheel-chaired veterans and those who depend on this service for their appointments. Morman introduced guest speaker, Frank Kiowa Jim Tongkeamha, a Navy Chief Petty Officer during the Korean and Vietnam Wars. 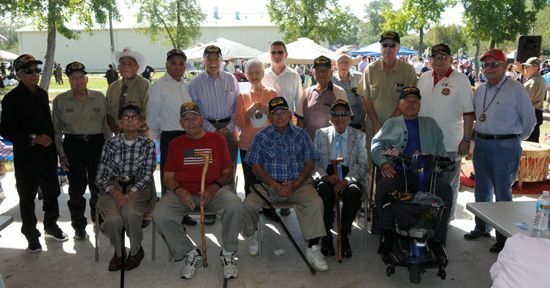 Eastside Veterans had a booth at the event, they invite veterans and the public to turn out for their events Nov. 5, 6 and 7. HIGHLANDS  The Highlands water district will hold a meeting next Tuesday, Oct. 27 at 6:00 p.m. at the Community Center to present information to the public on a Bond Referendum package that will appear on the Nov. 3rd ballots for local residents. 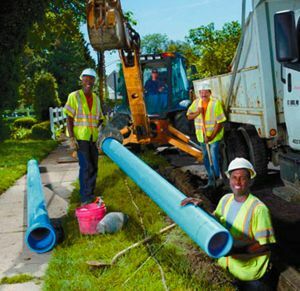 The tax exempt bonds in the amount of $16 million dollars, to be spent over the next 8 years, will ensure that customers have properly functioning water supply and sewer treatment facilities. Harris County Water Control and Improvement District No. 1 is the sole water and sewer service provider for Highlands and surrounding areas, since 1939. At the water distribution system, replace aging lines some of which are over 70 years old, and increase pipe size as necessary. The Bond will be paid for by a small tax increase, according to Taylor. The amount would initially be about 8 cents per $100 assessed value, with an increase in 2018 of 18 cents and in 2024 of 16 cents. The total impact of the taxes would be about $430 for a $100,000 home by the year 2024. This final tax rate is $.63/$100, compared with other nearby areas, of $.55/$100 in Crosby MUD, $.68/$100 in Lake MUD east of Highlands, and $1.12/$100 in Barrett Station. Voters will be asked to approve the bonds, on the November ballot. Early voting starts Oct. 19 to 30 at any Harris County early voting location, and on Nov. 3 at the Highlands Community Center and the Highlands Elementary School. 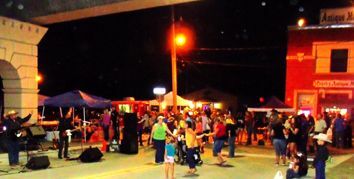 CROSBY  The New Crosby Street Dance was Saturday, Oct. 17 with loads of features for the locals to hear view and enjoy. The Grand Opening of the Crosby Antique Mall began Noon Saturday with the closing of Main Street in the underpass below Main Street in Crosby. It was an event of live music, food vendors and shopping. Many remember folks from throughout the area coming to Crosby from the 1960s up until the Mid-1980s to attend the Crosby Street Dance. We got the permit with TXDoT and are looking forward to having the Pink Fire Truck with the Superheros on it coming. Its never been to Crosby before. We want this to be a family event. Jones said. Scheduled Live Music events continued until 10:00 p.m. It began with karaoke by Karaoke Korner from Noon until 3:00 p.m. The Dayton Academy of dance performed at 2:30 p.m. The Bootleg Country Band played at 3:00 lasting until 6:00 as lead for the title feature, Jason West and West of the Trinity Band, from 7:00 until closing at 10:00 p.m.
Rowdy Bucks Beer Booth will vend Americas favorite beverage.